The one where Erin and Jamie discuss episode 01x02 (TOW The Sonogram At The End) of Friends. 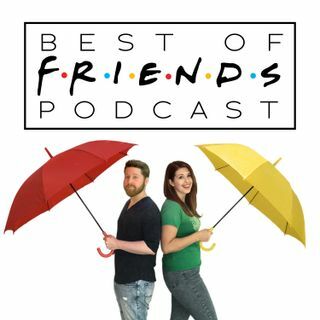 You’ll find out how Will & Grace has changed our view on reboots, you'll hear us comb through BOF ideas so old that we barely remember them, and you'll join us in embarking on an exciting new podcast journey (that just happens to take place within this one)! Hey, here's a question — do you like the show Friends? Because we do, and we're diving back into it! That's right, ... See More folks. It's time for our long-awaited, long-delayed, long-overdue return to the series that started it all. So buckle up, chuckle buddies — and let's get floopy!